NatashaAngelfire | The Ego Co. Does the word “sale” make your eyes sparkle in excitement? Well, your eyes will do more than sparkle when you attend the You’re Gonna Love This Sale event on the Flawless Sim! While wandering around the You’re Gonna Love This Sale event, I found the lovely Yaris shape at the External Appearance booth for L$25 and the enchanting Elena skin from the Style by Kira booth for only L$150! I also found the exquisite Julianna set at FuLo’s booth for only L$99! Not far from FuLo’s booth, I found the darling Euphoria gown at Celtic Wolf’s booth. The Euphoria gown is an exclusive for the event, and I picked it up for only L$50! That is an unbelievable bargain for such a beautifully detailed creation! At the You’re Gonna Love This Sale event, you will find booths from designers and creators from all over the grid who have items displayed at huge discounts! Also, each booth has an item exclusive for the event marked for only L$50, and many have a free hunt item hidden around their booth! The event ends on February 28th, so don’t delay in visiting the event! “Like” and follow this blog on Facebook! How often can you get four mesh tops, two leggings, two pairs of earrings, two sets of bangles, and two clutches for only L$395? And how often can you get five beautiful poses showing off clutches and handbags for only L$100? I hope you didn’t say “never”, because I found those very deals at Indyra Originals and KaTink! The glamorous Native Fox set from Indyra Originals includes the leggings in bronze and black, and also the four off-the-shoulder mesh tops in bronze, gold, silver, and black in four sizes to help ensure a lovely fit to your unique shape! As mentioned above, the Native Fox set also includes the accessories! Included in the set are the matching set of earrings in large and small versions, and the bangles and leather clutch in black and bronze! Plus, you can choose to wear the clutch tucked under your arm, or held in your hand! To take the photos, I went to KaTink to nab the newly released Lana sets! The two pose sets were made with showing off clutches and hand bags in mind! Each set includes five fetching poses for only L$100 per set! I’ll be showing you more poses from the Lana sets, so check back soon! While you are at KaTink and Indyra Originals, be sure to check out the other wonderful creations awaiting you! You’ll also want to join the groups, because you don’t want to miss out on any news of releases or events! Pose: KaTink — Lana (pose from Set 2) NEW RELEASE! 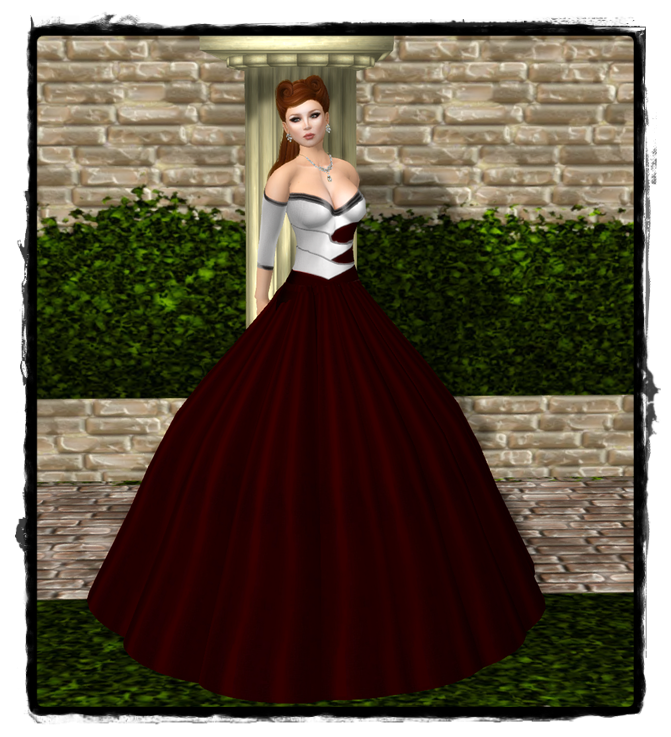 Tagged ::Exile::, Anna Shapes, Belleza, Indyra Originals, KaTink, Redgrave, Shakeup! Looking to spice up your profile, host or DJ photo, or just want to have fun? Then you’ll want to drop by WetCat for the BreakStuff set! The set includes four fantastically created break dance poses made exclusively for the WetCat’s Truth District location! The set is great for both guys and gals to create their own original photos, and is only L$99! After picking up your copy of BreakStuff at WetCat’s Truth District location, be sure to visit the WetCat Main Location to pick up the exciting hunt gifts, monthly group gift, and don’t forget to check out the other creations and those on special! I love onyx jewelry! I’m drawn to it like cupid to couples in love! I can’t resist it, and I don’t even try. When I visited Designs by Sebastian recently, I fell in love with a stunning set named Love’s Embrace. Though I love that the set is composed of onyx, I also adore the elegant detail of the gold embracing the gem in intricate detail and the delicate diamond accent in the middle. Of course, the beauty of the onyx set was undeniable; therefore, I had to have the set in several of the other gems too! I consider the sets in emerald, red garnet, and sapphire to be an early Valentine’s Day gift to my jewelry box! The Love’s Embrace set includes the earrings, a necklace that attaches to the spine, and a necklace that attaches to the chest. The set is available in onyx, emerald, red garnet, sapphire, Mandarin garnet, ruby, and amethyst! While you are visiting Designs by Sebastian, be sure to check out the other enchanting creations available! If the winter blues are starting to set in, chase them away by wrapping yourself in the beautiful creations from Vero Modero, Tameless Hair, Style by Kira, and Anna Shapes! Vero Modero has been hard at work designing unique creations, and the diligence has paid off with their most recent releases! One of the most recent releases is the radiant Or Gown. I think you will agree, the elegance and exquisite beauty of the Or Gown is breathtakingly enchanting! To create the look above, I used one of the newest releases from Tameless Hair named Venus. The name for the hairstyle is fitting since I fell in love with it as soon as I saw it! I also used the beautiful Nadja shape from Anna Shapes and the alluring Elena skin from Style by Kira. You’ll be thrilled to know the Elena skin shown can be found at the Designers Showcase for only L$75! Another stunning release from Vero Modero is the Ginto Gown. The creation includes the gorgeous, flowing cape and the captivating mesh gown! Believe me, you’ll feel like royalty while you wear this ensemble! There are several new releases awaiting you from Vero Modero, Tameless Hair, Style by Kira, and Anna Shapes, so grab your coat and purse to chase away those winter blues with some retail therapy! I’m always excited to visit Vero Modero! It’s one of those places that inspires you to reinvent yourself with every trip! There is always something to add new life to an outfit you already cherish. My most current trip to Vero Modero introduced me to one of the newest releases. The La Panca set includes the mesh top, lace bikini top, and pants. I must say, this outfit was a lot of fun to style! I look forward to seeing what others choose to wear with this fantastic outfit! If you love La Panca, you will adore the hunt prize from Vero Modero for the Winter Blues Hunt! I think you will agree that the prize makes the chill of winter a lot easier to tolerate! There are also a few other hunts going on, so keep your eyes open for those prizes as well! While you are at Vero Modero, be sure to join the group to stay updated on new releases, events, hunts, and the fantastic group gifts! After you visit Vero Modero, be sure to stop into Dulce Secrets and Anna Shapes for the stunning skin and lovely shape shown in the photos! Of course, you’ll also want to check out Loq and Tameless Hair for the captivating hair styles! Valentine’s Day is quickly approaching and I’m so thrilled to show you some extraordinary creations to help you create your Valentine’s Day look! If you are like me, almost every look starts with an outfit! You can imagine my joy when I found the beautifully captivating Night Love gown as a hunt gift from Paris Metro Couture! The prize includes the alluring gown, and the classic gloves. The rich color of the luxuriant fabric, and the sultry, high-cut side of the gown is certain to attract attention as you enter any venue. Next, I found the elegant jewelry set from Cae. I really adore the delicate detailing and the intricacy of the creation! The set is named Flourish, and is color change by menu. There are six pearl and three metal colors to help you coordinate the set beautifully to your outfit. A few weeks ago, while visiting the Flawless sim, I fell in love with the lovely Elena skin and shape from Style by Kira. I decided Valentine’s Day would be a wonderful time to wear the exquisite creations. To finish my look, I chose the enchanting Sophia hairstyle from Tameless Hair . I really adore the elegance of this style, and the way the bangs fall gently over one eye. Though I chose to wear this with a formal, the hair looks fabulous for any occasion! I’m sure I’ll have more Valentine’s Day looks for you, so check back again soon! I promised you a sneak peek at some of the items you will find during the Cold Winters Night Hunt, and I have three items to show you which will thrill the hunter inside you! The first prize I want to show you is the exquisite jewelry set from Stars! Everyone will fall in love with this stunning set adorned with shimmering snowflakes, elegant pearls, gorgeous blue diamonds, and radiant gold accents. I think you will agree, this creation is a beautiful example of the high quality designs you will see while visiting Stars! The lovely winter inspired skin shown in the photo is one of the hunt prizes from Style by Kira! You’ll be excited to hear there are several Elena skins in the hunt prize! Each of the Elena skins in the prize are exclusive to the hunt, and you are sure to love them all! While you are hunting, be sure to check out the Elena skins display to complete your collection! 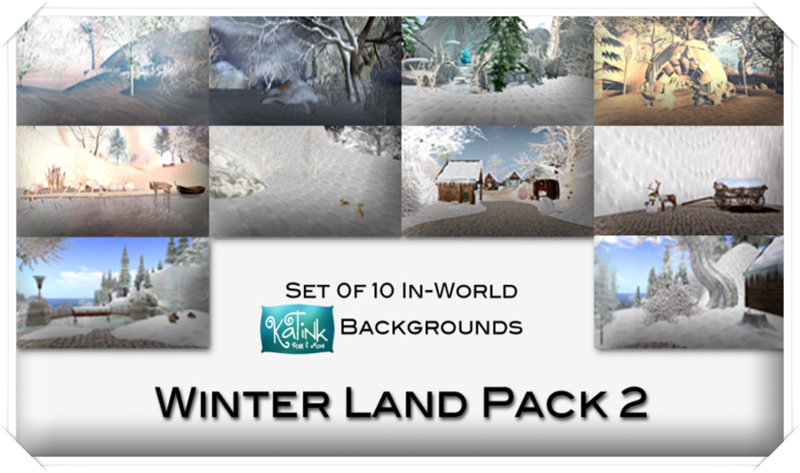 The last prize I want to show you is the enchanting background package from KaTink Poses and More! The prize consists of ten winter backgrounds for your decorating and photography pleasure! During your visit, be sure to check out the other fantastic backgrounds, poses, and photography props at KaTink! I’ll be showing you more fabulous items from the Cold Winters Night Hunt, so check back often! “New” is such a thrilling word, don’t you think? At Vero Modero there are plenty of thrills awaiting you in new releases! Plus, if you are a group member, you’ll be thrilled with the new monthly group gift and a wonderful group gift every day until Christmas! If you are not a member, joining is free and maybe these creations will inspire you to make room for joining the group! As mentioned, Vero Modero has treated fashion lovers to several new releases. One of the newest releases is the Rinaldi set! I simply adore the delicate lace, and the romantic period appeal of the set. This lovely creation includes the top, skirt, bolero, gloves, and the lace collar with jewel accent. Another new release is the Rossi Paint Dress! This fabulously artistic creation includes the dress, belt, and matching boots! This would make a beautiful gift for a friend, or your own closet! Of course, Vero Modero is also very generous to their group members. The photo on the left shows the stunning “4th Day of Christmas” gift. You can check the Vero Modero website to see the beautiful gifts from the previous days. I’ll warn you, have a tissue handy because you will shed some tears over the gifts you have missed. The photo on the right shows the lovely December group gift! I think you will agree, it is a wonderful time to be a group member of Vero Modero! While you are at Vero Modero, be sure to check out the other exquisite creations! And again, join the group to stay informed on releases, events, and the group gifts! Winter Fair — Ends Today! Yes, I have more exclusives to show that are available at the Winter Fair. These items will be gone at the end of the day, so don’t delay! Razorblade Jacket has items for both males and females in their booth at the Winter Fair. I found this adorable sweater available in pink, blue, violet, black, gray, and brown! I also found the fantastic hair that includes the cap at Tameless Hair’s booth! There are several exclusive styles at the booth, and you will adore each one! And yes, you can change the color of the hat through the menu! You will want to take a moment to stop into Panda Punx’s booth! There are many beautiful skins and shapes available! I found the Gabriella skins, and I had to have them before I left the event! I’m sure you understand that I didn’t want to risk missing out on them! Again, don’t delay your trip to the Winter Fair! It ends today!